Our company offers a range of services that will keep your home and loved ones protected. Locks are integral to maintaining the security of your residence or your vehicle. Standard locks can often malfunction when subjected to years of wear and tear. Under such circumstances, a person is exposed to the risk of getting locked out of their property or having their security violated. This is where Locksmith Sugar Land steps in to provide you with a premium locksmith service that you can always rely on. We offer 24/7 emergency services to both residential and commercial clients. Over the years, we have established a strong presence in the industry, courtesy of our unmatched professionalism and the exquisite quality of our services. We have a team of well trained and highly experienced locksmiths who are capable of providing just about any kind of lock related service that you can think of. Not only will they be able to renew your keys and fix your broken locks, but they can also offer invaluable advice on how you can strengthen the security at your residence or workplace. They work with the most advanced tools that technology has to offer, and provide the very best solutions to all problems associated with keys and locks. Furthermore, our locksmiths are experts at helping our customers adapt to modern security systems such as keyless entry to homes and offices. Prioritizing the needs of the customer is the number one goal at Locksmith Sugar Land. This philosophy of ours has earned us the right of being the most trusted company in the locality. Since our inception, the primary aim has been to strive for customer satisfaction and ensure that each and every single one of our clients receive the flawless service that they truly deserve when faced with a difficult situation. We do not believe in quick fixes, which is why the focus has always been on coming up with permanent solutions that will maximize the security of homes, offices and automobiles. This is one of the most basic services that we offer at Locksmith Sugar Land, TX. It is very common for standard locks on doors to give away to wear and tear after a certain point in time. When they do, they no longer remain functional and need to be fixed immediately. Clients who recognize this problem contact our team who quickly arrive to the scene to repair the faulty locks. If needed, the old locks can be replaced with new ones so that you do not have to spend your nights worrying about having your security breached by a hostile intruder. 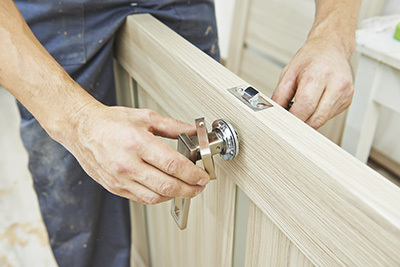 Our lock repair services are available for both homes and offices. 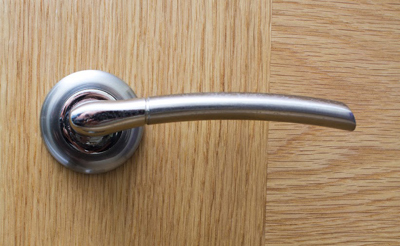 When someone struggles to unlock a door, it may not necessarily be a result of a faulty lock. Sometimes, the problem lies with the key. Our locksmiths are prepared with every trick in the book to address all our key related problems. They have the tools to provide professional rekey services for homes and offices. We are also authorized to produce key duplicates and replacements so that you are not stuck with the same, old malfunctioning key. The rekey and key replacement services are applicable for most types of keys regardless of the make. There can be nothing worse than being locked out of your car in the middle of nowhere at the dead of night. When faced with such a calamity, your best option is to rely on our 24/7 emergency automotive lock service which is specifically designed to help people who are struggling to gain access to their vehicles. We offer exclusive automotive locksmith services such as ignition rekey, trunk opening and unlocking of the steering wheel so that you do not have to be concerned about being unable to start your car engine. If you are looking for a reliable local locksmith company that can solve your key or lock related problem in no time, then give us a call today and our friendly staff will guide you through our services.